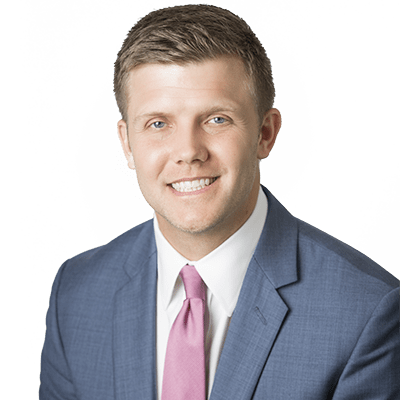 Phillips Murrah Attorney Cody Cooper earns patent license - Phillips Murrah P.C. Merging work life with personal interests is a tough feat to accomplish, but in 2015, Phillips Murrah Attorney Cody J. Cooper set in motion a two-year journey to make that a reality. “I’ve always enjoyed science and looking at things to figure out how they work, and Intellectual Property is a great fit for that interest,” Cody said. “I like the idea of working hand-in-hand with inventors to help them along with the process, with the end goal of getting them a patent on their unique idea. With this motivation in mind, Cody began the process of obtaining a license to become an official Patent Attorney. Aside from personal gain, the designation of a Patent Attorney offers credibility and security for clients which isn’t afforded to those seeking patents on their own accord. However, the process for obtaining a patent license can be demanding, especially with a full-time legal workload. In order to sit for the Patent Bar, candidates must have a scientific or technological background, typically in the form of an undergraduate degree in a science or engineering field, in addition to securing a law degree. Because it had been several years since he took engineering courses in college, Cody tried to find a line of classes that qualified but from which he could start at the beginning. The best courses that worked for this were biology courses, he said. Over the course of three semesters, Cody took four evening biology classes at UCO: biology, biology lab, microbiology and human anatomy with cadavers. Much like the standard college experience, he was in class with undergraduate students and had homework, regular tests and finals. Cody spent a several hours most nights and weekends studying for the two months leading up to taking the Patent Bar. He passed on his first attempt, and as of July 2017 has officially obtained his Patent License and the ability to practice as a Patent Attorney. Learn more about Phillips Murrah’s Patent, Copyright and Trademark Practice Group by visiting the Intellectual Property Practice Area page here.